This is the first of 3 posts covering each of these questions. 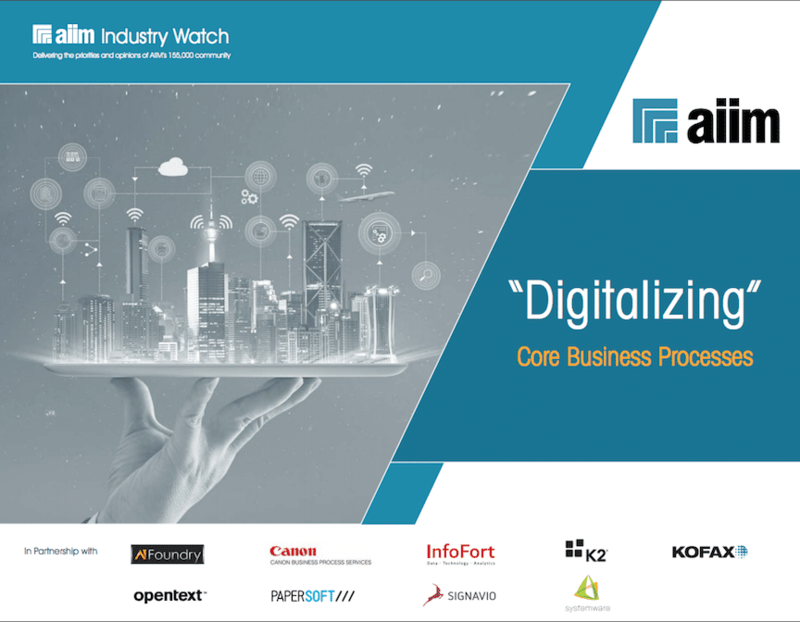 For more information, make sure you download our new Industry Watch report — “Digitalizing” Core Business Processes — it’s free until AUGUST 1. After that date, it will go behind our member paywall. Most organizations and departments have a mandate to continuously improve operations. A conventional change agenda involves better tools and technology, better behaviors, and better processes, all focused on generating better efficiencies and improved productivity. In disruptive times, process efficiency is a necessary but not sufficient condition for Digital Transformation. 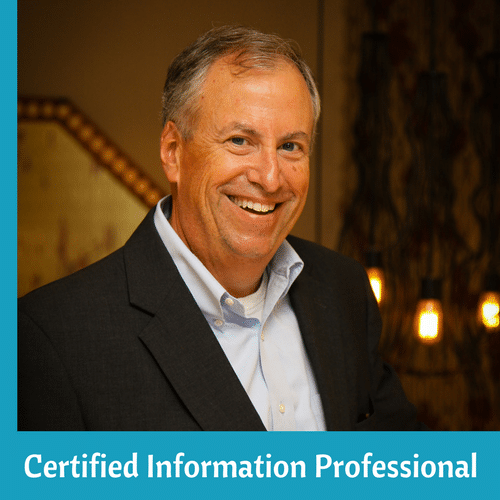 Ultimately, AIIM believes Digital Transformation is more than conventional change. Digital Transformation is about doing things differently – and doing different things as well. And different not just for the sake of being different, but in support of the key strategic objectives facing every organization in the age of digital disruption. That’s why we believe the core IIM process challenge for organizations as digitalizing core business processes rather than just digitizing them. Digitization of manual and paper-intensive processes has long been shown to increase efficiency. Digitalization goes beyond digitizing the steps in a workflow and is all about redesigning the business as a digital business, not just improving what you currently have. The best approach in addressing this transformation is to view it as a journey from the current ways of doing business to a new digital state, based on intelligent information management (IIM) practices that integrate people, process, information and technology in support of achieving greater operational efficiency, meeting regulatory and legal compliance, enabling more agility to change, and enhancing the customer experience. 82% of organizations are comfortable with the term “Digitalizing Core Business Processes” as a description of the broad process challenges that lie ahead. 75% of organizations view process automation as “important” or “very important” to their organization.